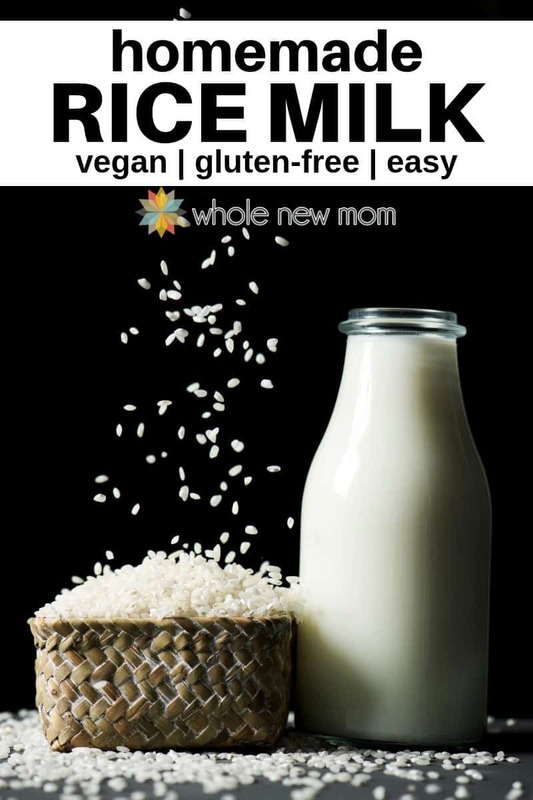 This homemade rice milk is a super simple recipe, it helps you avoid all of the additives typically found in store bought rice milk, and works great for all of your vegan baking, cooking, and more. 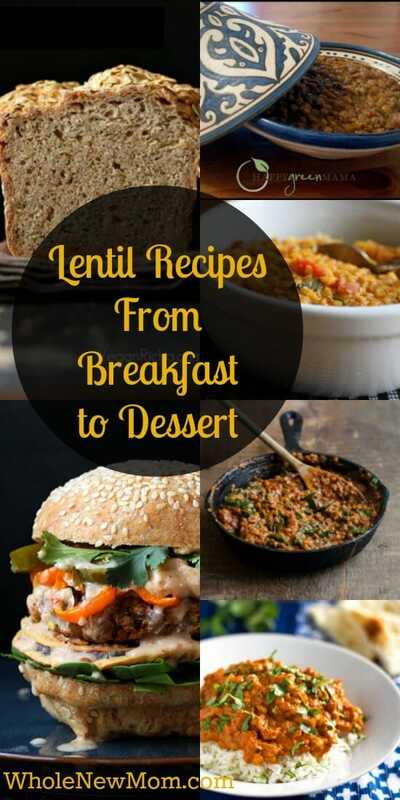 This recipe can be made using either brown or white rice, and literally can be made with only 2 ingredients and in just minutes. For years now, we've been making our own rice milk and other dairy-free milk alternatives. Our oldest was diagnosed with a life-threatening allergy to dairy before he was even one year old, and my husband is lactose intolerant, so having a milk substitute on hand has been a constant need in our home. In fact, we make homemade dairy-free milk several times a week for use in recipes, baking, or adding to hot drinks or to cooked hot cereals. Since moving our diet in a lower-carb direction, we mostly make homemade coconut milk or homemade almond milk but homemade rice milk was a mainstay for us for a very long time. Rice is an easily digestible grain, making rice milk a fantastic choice for someone who is struggling with a digestive sensitivity or upset, plus rice is gluten-free and fairly non-allergenic, so rice milk works well for almost any special diet. 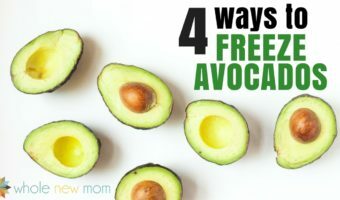 If you have someone in your household who suffers from a dairy allergy or intolerance, you know how beneficial having dairy-free milk substitutes around can be. And when you can make them yourself–all the better. Besides being helpful for food allergies or intolerances, rice milk is helpful for having around the house for those occasions when you run out of milk in the middle of making a recipe. This discovery came one day, years ago, while shopping at a health food store. And I do mean years ago–way before dairy-free milk substitutes were in vogue. While looking at the pricey options in the “milk substitute aisle”, I noticed that the only ingredients listed on the boxes were — grain, water, and occasionally sweetener and flavoring. There just had to be a way to make this myself and save a lot of money. So I went home, got out my blender, estimated the amount of rice and water I should use, added a dash of salt and a tablespoon of sweetener, and the rest is money-saving history! Why Make Homemade Rice Milk? Filtered Water, Organic Whole Grain Brown Rice, Organic Brown Rice Syrup, Organic Expeller Pressed Canola and/or Organic Expeller Pressed High Oleic Safflower Oil, Tricalcium Phosphate, Sea Salt, Organic Vanilla Flavor, Natural Flavor, Carrageenan, Vitamin A Palmitate, Vitamin D2, Vitamin B12. Now, it's nice that they are using filtered water and organic rice and rice syrup and oils and flavoring, but there are some disconcerting ingredients in there. The term natural flavor or natural flavoring means the essential oil, oleoresin, essence or extractive, protein hydrolysate, distillate, or any product of roasting, heating or enzymolysis, which contains the flavoring constituents derived from a spice, fruit or fruit juice, vegetable or vegetable juice, edible yeast, herb, bark, bud, root, leaf or similar plant material, meat, seafood, poultry, eggs, dairy products, or fermentation products thereof, whose significant function in food is flavoring rather than nutritional. Basically, anything added to a food for flavor that is not an artificial flavor is a “natural flavor.” There are some companies that use the term to simply conceal propriety truly natural flavorings, but unless you contact the company, you don't know. This thickener could cause some gastric distress and has some other evidence of causing other intestinal issues and even inflammation. A small amount might be tolerable, but those who consume a lot of processed foods should take this into consideration. Vitamin A is a synthetic form of the vitamin that is prevalent in fruits and vegetables, meaning that supplementation is typically not needed. It is very rare for someone to be deficient in vitamin A. Additionally, there are reports of excess vitamin A being linked to birth defects, liver problems, and bone damage. Canola oil has been surrounded by many concerns about its safety. Most of the canola on the market is processed using highly a highly refined process involving high heat, hexane, and deodorization, plus almost all canola oil is genetically modified. As a polyunsaturated fat, it has also been linked to possible inflammatory effects. You can see how canola oil is made in this video. I don't think I want this in my rice milk! By making your own rice milk, you are avoiding not only the added waste of the cartons, tetra-paks or bottles, but also the gas needed for additional trips to the store. Store bought rice milk is quite pricey, especially when you see how inexpensive it is to make your own. 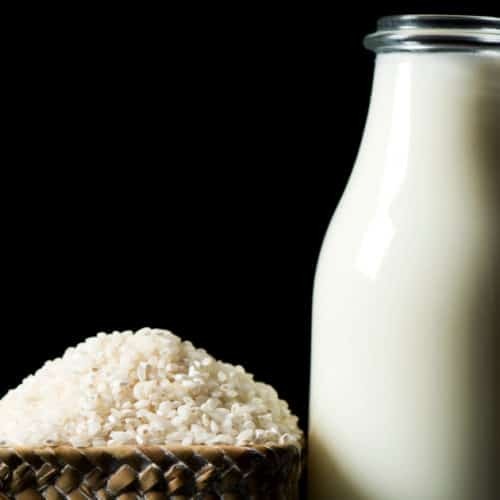 How Much Will You Save Making Homemade Rice Milk? At the time that this post was written, a 32 oz container of organic rice milk cost about $4.35 each (even at a good bulk price on Amazon.com). We purchase organic rice in bulk–$2.25/lb for white basmati, or $1.35/lb for organic long grain brown rice. You can find organic short grain brown rice on Amazon for $1.79/lb. Organic white rice is a great choice when buying in bulk. It stores well, and has less of an issue with arsenic contamination. 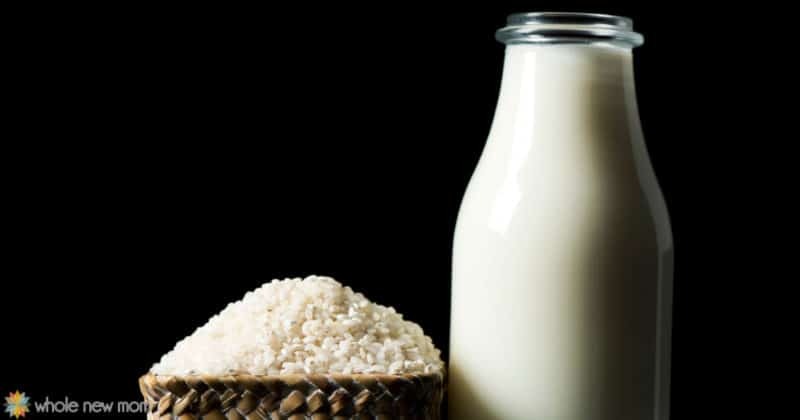 Use 3.25 oz rice per week to make 64 oz of rice milk = $.27 (if using organic long grain brown rice) = 14.04/yr. That's a lot of savings! And you save even more when you add in the savings in car use and gas by not making another trip to the store. Of course, it would be best to use filtered water for your homemade rice milk (in addition to using it for all of your of your drinking, baking, and cooking needs). This post talks about how to make your drinking water safe. Our family uses the PureEffect Water filters and we love them. Our cost for filtered water is about 25 cents per gallon. So that would make our cost for this Homemade Rice Milk to be $20.54/yr so your savings would still be a whopping $471.92. Want more money saving tips? Rice Amount: Use more or less rice, depending on what you would like the consistency of the final product to be. Standard rice milk is thinner than full fat cow's milk, but it's of course your choice what consistency desire. Water: It is crucial that you use filtered water for this recipe. My post on how to make your tap water safe goes into more details about tap water contamination concerns. Prepare extra rice ahead of time and portion it out in 1 cup increments in small food-safe plastic bags and store in the freezer for future rice milk making. For this purpose, I love using Twixit Clips (any kind of clip will work, but these clips are simply amazing. They last a very long time, have a lifetime guarantee and are so much easier to use than those pesky twist-ties! 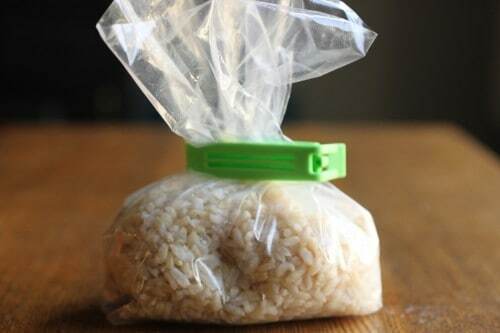 Simply thaw out the rice whenever you need rice milk. Bonus time saver, if you have a Vitamix or other high speed blender, it can handle the rice frozen! Simply pop the frozen rice into the blender with the filtered water and blend. 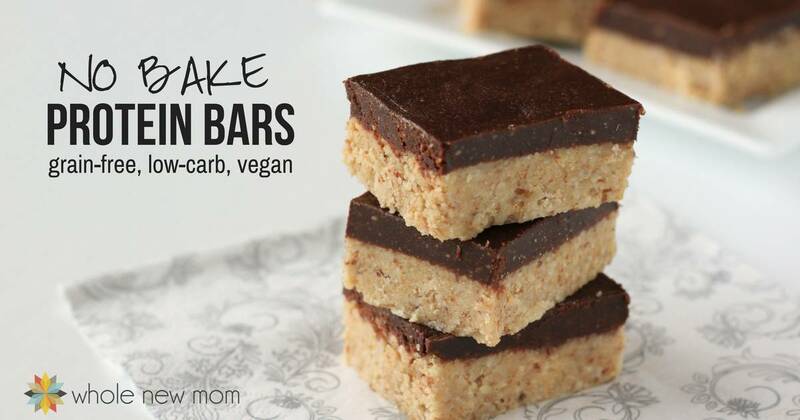 Add flavorings like chocolate, strawberry, or coconut–the sky's the limit! Think of all the variations you could make. If you've been thinking about a Vitamix and someone in your family has an allergy to dairy, you won't believe how much time and money this machine will save you. And clean up is a breeze! There are other high speed blenders, but the Vitamix is my hands down favorite. Quick Cooling Tip – Make ice cubes out of this Homemade Rice Milk to increase longevity, or to have on hand for putting into hot cereals, hot coffee, hot tea, hot chocolate (or this coffee substitute) to cool them off more quickly than regular rice milk would do. This homemade rice milk is a super easy vegan milk substitute, plus it saves you money and helps you avoid all of the additives typically found in store bought rice milk. Place all ingredients in blender. Blend for four minutes in a regular blender, or two minutes in a high-speed blender like a Vitamix. Use in recipes or drink as you would regular milk. Store in refrigerator for 3-4 days. I'm sure you'll appreciate how this Homemade Rice Milk helps stretch your vegan diet and healthy eating budget! Will you try making you own Homemade Rice Milk | Vegan Milk Substitute? 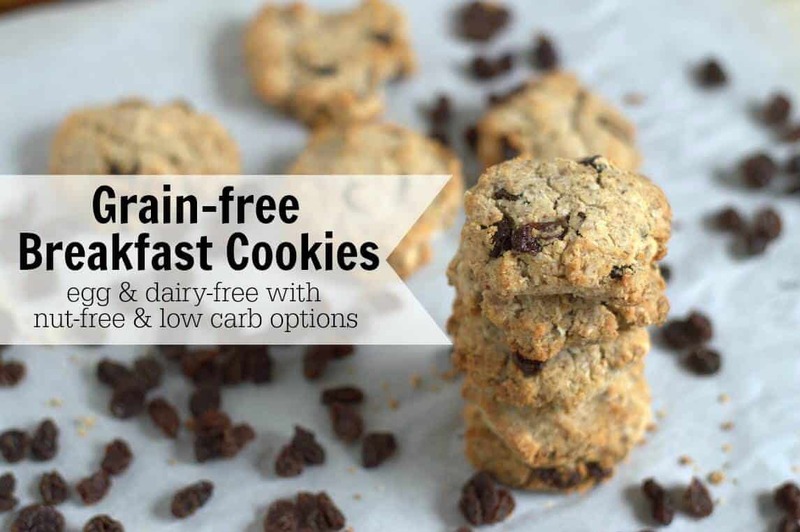 What other dairy-free milk substitutes have you tried? I love rice milk but have never made my own. Thanks for the recipe! I was drawn in by the beautiful photo and stayed for all the interesting information, thank you for sharing, Adrienne! Have you ever used this make pudding. I found a recipe on the Davita Kidney website that calls for unenriched rice milk. I live in a small town and can’t find it, so I thought I’d make my own. Do you think it will work? Hi there. Sorry I missed your comment. We actually lost the comments for awhile and finally got them back on the site. I’m going to be updating this post soon w/ a lot more info but yes you can use this! Enjoy!